Garcí­a has edited two anthologies, Bordering Fires: The Vintage Book of Contemporary Mexican and Chicano/a Literature (2006) and Cubaní­simo: The Vintage Book of Contemporary Cuban Literature (2003). She is also the author of three works for young readers, Dreams of Significant Girls (2011), a young adult novel set in a Swiss boarding school in the 1970s; The Dog Who Loved the Moon, illustrated by Sebastia Serra, (Atheneum, 2008); and I Wanna Be Your Shoebox (Simon and Schuster, 2008). A collection of poetry, The Lesser Tragedy of Death (Akashic Books), was published in 2010. Garcí­a was born in Havana to a Guatemalan father and Cuban mother. In 1961, when she was two years old, her family was among the first wave of people to flee Cuba after Fidel Castro came to power. They settled in New York City where she was raised in Queens, Brooklyn Heights, and Manhattan, in predominantly Irish, Italian, and Jewish neighborhoods. Her family, however, communicated at home in Spanish and shared many stories about Cuba during her youth; and she says that she has always thought of herself as Cuban. Garcí­a was a reporter for the Knoxville Journal before she was hired in 1983 by Time Magazine. Beginning there as a reporter and researcher, she became the publication’s San Francisco correspondent in 1985, and its bureau chief in Miami for Florida and the Caribbean region in 1987. In 1988 she was transferred to Los Angeles. She left Time to write fiction full-time in 1990. Garcí­a holds a Bachelor’s degree in Political Science from Barnard College, and a Master’s degree in International Relations from the Johns Hopkins University School of Advanced International Studies. Her work has been nominated for a National Book Award and translated into 14 languages. She is the recipient of a Guggenheim Fellowship, a Whiting Writers’ Award, a Hodder Fellowship at Princeton University, and an NEA grant, among others. Garcí­a has been a Visiting Professor at the Michener Center for Writers at the University of Texas-Austin and The University of Miami. She has served as Professor and University Chair in Creative Writing at Texas State University-San Marcos from 2012-14. Garcí­a is also the founder and artistic director of Las Dos Brujas Writers’ Workshops. She currently lives in northern California. Cristina Garcí­a is the author of seven novels: Here in Berlin; King of Cuba; The Lady Matador’s Hotel; A Handbook to Luck; Monkey Hunting; The Agüero Sisters, winner of the Janet Heidiger Kafka Prize; and Dreaming in Cuban, finalist for the National Book Award. Garcí­a has edited two anthologies, Bordering Fires: The Vintage Book of Contemporary Mexican and Chicano/a Literature and Cubaní­simo: The Vintage Book of Contemporary Cuban Literature. She is also the author of three works for young readers, Dreams of Significant Girls; The Dog Who Loved the Moon; and I Wanna Be Your Shoebox. A collection of poetry, The Lesser Tragedy of Death, was published in 2010. Here in Berlin is a portrait of a city through snapshots, an excavation of the stories and ghosts of contemporary Berlin―its complex, troubled past still pulsing in the air as it was during World War II. Critically acclaimed novelist Cristina García brings the people of this famed city to life, their stories bristling with regret, desire, and longing. An unnamed Visitor travels to Berlin with a camera looking for reckonings of her own. The city itself is a character―vibrant and postapocalyptic, flat and featureless except for its rivers, its lakes, its legions of bicyclists. 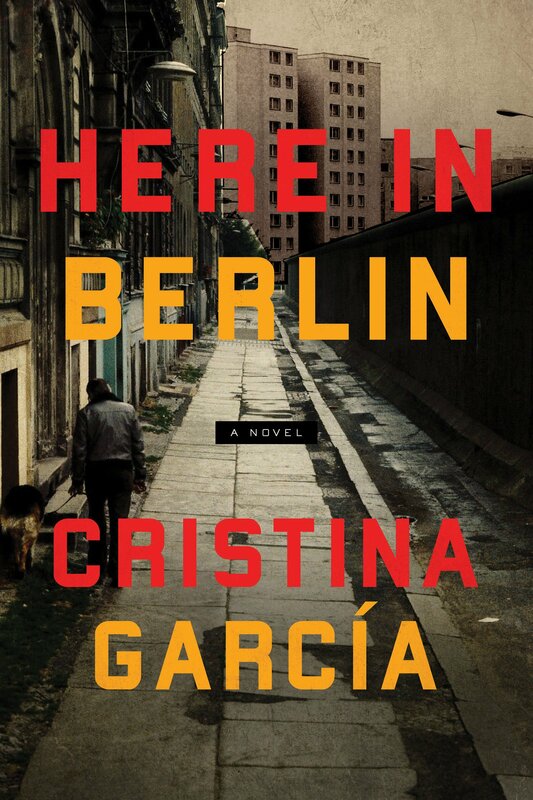 Here in Berlin she encounters a people’s history: the Cuban teen taken as a POW on a German submarine only to return home to a family who doesn’t believe him; the young Jewish scholar hidden in a sarcophagus until safe passage to England is found; the female lawyer haunted by a childhood of deprivation in the bombed-out suburbs of Berlin who still defends those accused of war crimes; a young nurse with a checkered past who joins the Reich at a medical facility more intent to dispense with the wounded than to heal them; and the son of a zookeeper at the Berlin Zoo, fighting to keep the animals safe from both war and an increasingly starving populace. Vivid and teeming with life, King of Cuba transports readers to Cuba and Miami, and into the heads of two larger-than-life men: a fictionalized Fidel Castro and an octogenarian Cuban exile obsessed with seeking revenge against the dictator. García’s masterful twinning of these characters combines with a rabble of other Cuban voices to portray the passions and realities of two Cubas—on the island and off— in a pulsating story that entertains and illuminates. Told with wry wit and keen insight, this entertaining and richly satisfying story shifts between the two men with great resonance and humor, and is peppered with the rabble of other Cuban voices that create a patchwork of history’s unofficial stories. 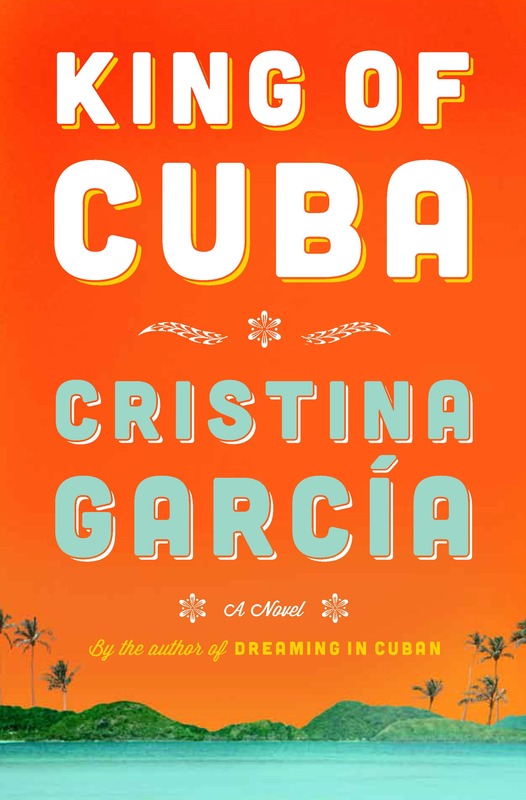 Writing at the top of her form, Garcí­a returns to the territory of her homeland and her bestselling novel Dreaming in Cuban. Brought together each summer at a boarding school in Switzerland, three girls learn a lot more than just French and European culture. Shirin, an Iranian princess; Ingrid, a German-Canadian eccentric; and Vivien, a Cuban-Jewish New Yorker culinary phenom, are thrown into each other’s lives when they become roommates. This is a story of three paths slowly beginning to cross and merge as they spend the year apart, but the summers together. Through navigating the social-cultural shoals of the school, developing their adolescence, and learning the confusing and conflicting legacies of their families’ past, Shirin, Ingrid, and Vivien form an unbreakable bond. Like The Sisterhood of the Traveling Pants, this story takes readers on a journey into the lives of very different girls and the bonds that keep them friends. A dazzling, evocative novel about the intertwining lives of the denizens of a Latin American hotel in the midst of political turmoil…a fierce and gorgeous story about politics, gender, and passion. In an unnamed Central American capital, at a luxurious hotel, the lives of six men and women converge over the course of one week. There is a Japanese-Mexican-American matadora in town for a bull-fighting competition; an ex-guerilla now working as a waitress in the hotel coffee shop; a Korean manufacturer with an underage mistress ensconced in the honeymoon suite; an international adoption lawyer of German descent; a colonel who committed atrocities during his country’s long civil war; and a Cuban poet who has come with his American wife to adopt a local infant. With each day, their lives become further entangled resulting in the unexpected—the clash of histories and the pull of revenge and desire. Cristina Garcí­a’s magnificent orchestration of politics, the intimacies of daily life, and the frailty of human nature unfolds in a powerful, ambitious, often comic, and unforgettable tale. El Comandante gazed out the window at the stale light of another tropical morning, at the long curve of crumbling seaside buildings. Spindly, sun-sick palms splintered the skies with their spiky fronds. The sea was a rumpled bed of blues. The usual lovebirds tangled on the malecón,verging on public fornication. He’d passed laws against such displays but it hadn’t deterred the couples. The seawall remained theirs, as it had for generations of lovers before them. It was bad enough that Cuba had a reputation as the brothel of the Caribbean—in a desperate bid for foreign currency, he’d once pronounced his country’s prostitutes the healthiest and best educated on the planet—but this was hardly a laudable distinction. The tyrant was accustomed to being exceptional, and so he didn’t expect that rules governing ordinary human morality should apply to him. Nothing in his life had followed anyone else’s rules, so why must he go the way of every mediocre nobody on the planet? Dying, he’d decided, was a fate for lesser men. The lady matador stands naked before the armoire mirror and unrolls her long pink stockings. She likes to put these on first, before the fitted pants and the stark white shirt, before the bullioned waistcoat and the ribs-length jacker densely embroidered with sequins and beads; before the braces, and the soft black slippers, and the wisp of silk at her throat; before the montera, an authentic one she ordered from a bullfighters’ shop in Madrid, which sits atop her hair, pulled back in a single braid; before her cape, voluminous as a colony of bats. Suki Palacios has come a long way to the spired hotel in the tropics, to this wedge of forgotten land between continents, to this place of hurricanes and violence and calculated erasures. She arrived yesterday from Los Angeles, trading the moody squalor of one city for another, the broken Spanish for one more lyrical. In a week she will compete in the first Battle of the Lady Matadors in the Americas. Suki is here early to display her skills and generate enthusiasm for the fight. By the time the other matadoras arrive in the capital, its citizens will be clamoring for blood. of you in your dress blues. With the semper fi postcards. Get the hell out, already! With a lit match between your fingers.